His bronzes have been subjects of magazine articles and editorials, they have also received serveral awards for excellence including Best of Show, Purchase Award, People's Choice and selected for the Best of Scottsdale Show, Scottsdale, Arizona. 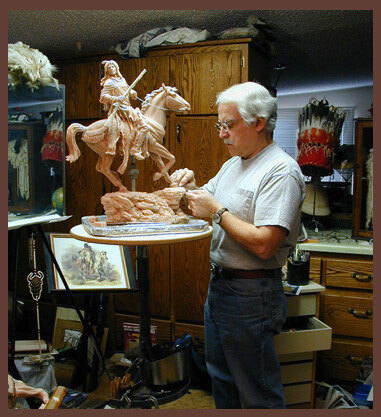 His bronze "The Guardian" was also selected to appear on the front cover of the "The Idaho Horseman" magazine. Most recently he has been invited to show his bronzes at the Governor's Mansion in Helena, Montana and the new Lewis and Clark Interpretive Center located at Washburn, North Dakota. 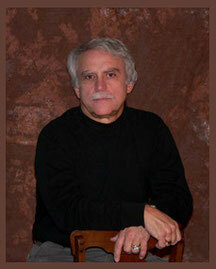 He has had three one-man exhibitions in Germany and his work can be found in collections throughout the United States, Canada, and Europe, including the collections of noted historians and Lord Freiderick Wilhelm of Wied (Germany) descendent of Prince Maximilian of the Maximilian/Bodmer expedition up the Missouri River in 1833-34 which recorded information on the native peoples and the land. His bronzes are also in the permanent collection of the U.S. Air Force, National Park Service (including Little Big Horn Battlefield National Monument, Crow Agency, Montana), the Favell Museum, Klamath Falls, Oregon and the Michael Harrison Western History Research Center, University of California at Davis which houses the most extensive collection of his work.